The American Cancer Society recommends that women get yearly mammograms beginning at age 45. The American College of Obstetricians and Gynecologists recommends beginning yearly screenings at age 40. If your family history puts you at a higher risk of getting breast cancer, start getting tested even earlier. Several relatives have had breast cancer. Should I get genetic testing to see if it’s in my genes? It’s possible than an abnormal BRCA1, BRCA2, or PALB2 gene is causing the cancer pattern in your family. If either of your parents tests positive for the genetic mutation, you should get tested, too. If you test positive, your siblings and adult children should be tested as well. Testing positive for an abnormality in these genes means the risk is much higher than average that you’ll develop breast cancer in your lifetime. I was just diagnosed with breast cancer. What now? Try not to panic. There have been many excellent developments in the treatment of breast cancer. For example, immunotherapy drugs use your body’s immune system to target cancer cells. As you start the process of finding the care that’s right for you, remember to take things one step at a time. Do some research, but don’t believe everything you find on Google. Visit reliable websites such as Mayo Clinic. You may be anxious to know your stage and type of cancer, but these often can’t be determined right away. Additional scans, MRIs, or biopsies may be needed. How do I determine the best course of treatment? Speak with both an oncologist and a breast cancer surgeon, and don’t be afraid to get a second or even third opinion. These experts will share their knowledge and make recommendations. There are often multiple treatment options available, and you might be faced with difficult decisions. 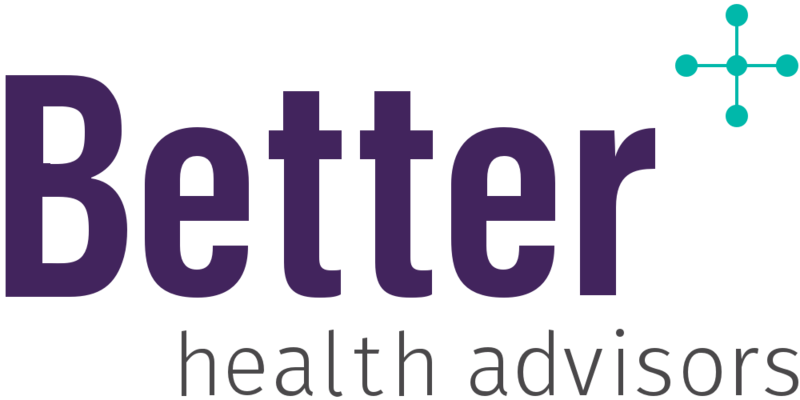 If you’re unsure what choice is best for you, call Better for detailed, customized advice based on your medical history and current health. How long does treatment take? Will I be able to work during that time? The length of your treatment will vary depending on multiple factors including if surgery is needed, what type of surgery, and if chemotherapy or radiation are part of the plan. Many people can return to work the day after a routine lumpectomy. If you are having a mastectomy, you may need more time off to recover. You may be able to continue working during chemotherapy and radiation treatments, but it’s important to discuss these decisions with your doctor. If possible, enlist a loved one or a health advisor to help you determine what workplace benefits, such as medical leave or paid sick time, are available to you. My mother has breast cancer. I don’t live near her, but I want to make sure she’s getting the best possible treatment. What now? We all want the best care for our loved ones. This can be especially challenging when we are far away and feel unable to contribute to their care. For support, connect with local resources in your mother’s area, such as a chapter of the American Cancer Society. If you need a referral for a visiting nurse or home health care, reach out to a social worker or counselor at your mother’s treatment center. A great online resource for learning from the experiences of other patients and caregivers is breastcancer.org. For specific recommendations based on your mother’s medical needs or for help navigating the healthcare system, call Better. I’m in cancer treatment, and having trouble managing my daily routine and caring for my family. What now? Take care of yourself, and look for ways to delegate some of your tasks. Many of us are used to being caretakers and find it difficult to ask others for help. Friends or family may be unsure what to do, so when someone says “Let me know if you need anything,” go ahead and be specific. Many friends would be happy to drop off a prepared meal, order takeout for you and your family one night a week, or bring the kids to school while you are recovering. Make a list of things you need help with, and put one friend in charge of assigning the tasks. If you have limited support, don’t forget your local church and other community groups, which often have volunteers to help with situations like this. My doctor says I’m now cancer-free. What now? You and your doctor will work together to establish what is called your survivorship plan. This is a personalized care plan to help you remain cancer-free in the future. Breast cancer survivors are often prescribed medications such as Tamoxifen or an Aromatase Inhibitor, which are typically taken for five or even ten years. You may have had genetic testing or other diagnostics, such as Oncotype testing, to help determine your risk of recurrence. Use these resources to inform your continuing care needs. Look for ways to increase your overall wellness, such as reducing stress and increasing your physical activity. You may also want to consider working with a nutritionist to maximize your wellness. Many hospitals have support groups where people share tips on staying healthy.